In many homes, sofas are the center of activity and relaxation. They are where we go to watch TV or movies, read, entertain, or just relax and unwind. Given the amount of time we spend relaxing on them and the importance of unwinding after a long day of work, the comfort of that sofa or couch is very important. Unfortunately, even the best cushion can lose support and comfort over time. With the cost of purchasing new furniture and the headache of finding a new couch that matches your style, getting it in your home and removing the old one, many people just endure uncomfortable sofas and cushions rather than be bothered with replacement. But with The Foam Factory’s replacement sofa cushions, you can get the comfort of a new couch without having to go through the hassle of buying a new one. With a product line that features the softest foam for luxurious comfort, firm foam for complete support and everything in between, The Foam Factory has the materials and ability to create custom cushion foam to your precise needs and desires. This approach to complete customization means they will use literally any foam material in their inventory to create the perfect cushion for you. Even foam types not typically used as replacement foam for couch cushions can be used if specially requested. Need the firmness and durability of high-grade automobile foam? Softness like pillows? Want the structural consistency of closed-cell foam? Or, do you have your own raw materials you want skillfully cut? If you want it, The Foam Factory will make it. In addition to their willingness to use less-typical materials, they also offer traditional soft, medium and firm foam for couch cushions in both regular and high quality for making your sofa feel like new again. The customization doesn’t stop at choosing a foam type for your cushion. The Foam Factory will layer multiple foam types into a single custom cushion to create a hybrid product that blends the qualities of the foam into a single, unique feel. If you want the support of ultra-firm foam but the comfort of soft foam, The Foam Factory can blend two types of foam together to create a product that matches your desires perfectly. Furthering the customization, polyester fiberfill wrap is an option that can be added to any cushion for a fluffy, over-stuffed look while providing an additional comfort layer that doesn’t diminish the support of the foam it is wrapped around. With more than 30 years of foam industry experience, The Foam Factory is well aware that every sofa and cushion is unique in its own size and feel, as well as how its qualities are received by the user. With a fleet of computer operated and hand-controlled machinery, nearly any shape or design can be created from foam to re-stuff couch cushions. These include rounded cushions, an L-cushion or T-cushion, tapering, bay window cushions or even round cushions. Cushions can also be beveled to provide a smoother, less angular appearance. The wear a sofa endures isn’t just absorbed by the foam cushion inserts though. The covers these couch cushions are encased in receive just as much, if not more abuse as their filling, so for situations where the fabric is just as worn as the foam, The Foam Factory also manufactures custom covers. Stocked with twill, suede and vinyl in many vibrant colors, their selection will ensure that your new cushion will look great as well as feel great on your couch. The Foam Factory will even create covers if you have leftover fabric from old upholstery projects, something some companies will not do. Custom covers can feature zipper openings, be sewn shut, or left open like a slip cover in addition to the option of welting cord. A couch’s seat cushions aren’t the only part of a sofa that is used either, and that is why The Foam Factory manufactures custom sofa backs. Traditionally made of softer foam because they only support a fraction of the weight that seating cushions do, a worn out seat back can render even the most comfortable cushion useless. Even with softer foams used more as seat backs, The Foam Factory offers the same customization options for seat back foam and will even manufacture cushions for a convertible sofa. Whether you’re attempting to give a favorite piece of furniture a new lease on life or customizing a new sofa to fit your home’s aesthetics, The Foam Factory can help make your sofa cushion replacement perfect for you. I am looking for replacement foam for my couch, the back cushions not the seat cushions. I need 7 back cushions, each cushion is 22inches by 22 inches and 6 inches thick. What would you suggest, they seem to be polly filled now and give no support, they are basically like a cheap pillow you would pick up in Target or Walmart. I would like firm yet comfortable as this is for a tv room. This is a great question, and one that we get asked fairly frequently. Cushioning seat backs is a little trickier than seat cushions because they don’t have to bear our full weight. Seat backs play a major role in supporting posture though, which affects comfort. Like most people, it sounds like you want something soft enough that you aren’t forced upright like a desk chair, but firm enough to support your upper body when you lean back to relax. We often suggest Super Soft Foam for seat backs. While the name says Super Soft, when used for backing cushions and not seating cushions, the foam has more of a medium feel than it would if you were sitting on it. Another feature we often add to seat backs is a layer of polyester fiberfill for a little extra fluffiness and softness that doesn’t detract from the cushion’s supportive qualities. With that said, we’ve forwarded your questions to our Sales Team who should be contacting you soon to help you figure out a solution tailor-made for you and your couch! Can I send my couch pillow covers to you to be refilled? long to fill them & approximate cost if I give you dimensions? We absolutely can refill your old covers with brand-new cushion foam. All you have to do is send us your empty covers! Typical turnaround time on a custom cushion order is 1-1/2 to 2 weeks for processing and shipping, depending on your location. We’ve forwarded your inquiry to our Sales Team who should be getting in touch with you shortly regarding pricing. We custom-quote every order due to the number of foam options we offer, but we’re confident we can help you find the right cushions for you and get that couch back in tip-top shape! I have a nice couch but the bottom cushion needs to be restuffed. The padding is lumpy. Can this be replaced? Replacing that lumpy cushion of yours is no problem for us! We have a full selection of great open-cell cushion foam for every preference, and custom-cutting services to re-create even the most uniquely-shaped cushions. If your foam is actually in good shape but the fiber wrapping is tattered and making things uncomfortable, we also offer Dacron polyester fiberfill and a Do-It-Yourself section on how to re-wrap your cushion quickly and affordably. We’ve sent your message to our Sales Team who should be getting back to you shortly to gather some more details on what you’re looking for. Your couch should be back to its old, comfy self soon! We would be more than happy to help! Re-stuffing couch cushions is one of our specialties, and we have many different types of cushion foam that can fit your needs. Our Sales Team should be in touch with you soon to discuss what you’re looking for in your new cushions. In the meanwhile, feel free to take a look at our open-cell cushion foam selection: Open-Cell Cushion Foam. My couch cushions are killing my back. I have plywood under the cushions but I think I just need new cushions. Can you help? What is the price of re-filling couch cushions. I have 3. If you placed plywood over your couch’s support base and you’re still not comfortable, you are probably correct that you need new cushions. Quality 3″ or 4″ thick cushions to replace what you currently have should make your couch feel much better. 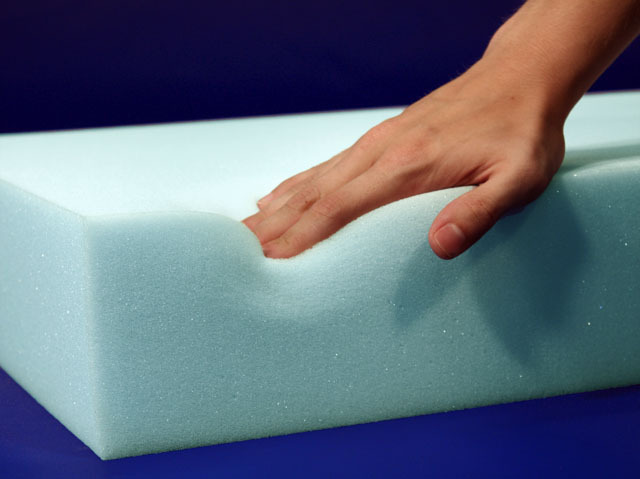 We certainly do offer cushion replacement services, and have many different varieties of foam to select from. Because every cushion project is unique, we custom-quote each job, so our Sales Team should be in contact with you shortly to find out more information on your project and see how we can help get your couch back in shape! We absolutely do, and as a matter of fact, we even have a website just for our Canadian customers. If you have any other questions, don’t hesitate to get in touch! Unfortunately, we only have one brick-and-mortar location in Metro Detroit. We do, however, ship anywhere in the country, so if you have specific questions about any products or a potential order, please feel free to get ahold of us via our Contact Us page! Hi, i purchased a sleeve for my daughters reading loft. I then went to Joann’s and purchased a foam insert, I feel as thought I need something more comfortable & thick. What type of foam insert would you recommend? I need cushion on couch done about 39L 23W. do you have a price list? Sure! For pricing on custom cut cushions, please see our custom cut seats and cushions web page. We have a leather deter that needs new foam in the seats AND the seat supports need help. What do I do to get this all fixed? Please contact us for personal help with your request. I have an “L”shaped couch, the chaise lounger hardly gets used, so the base cushion on that is fine, but the 2 seat cusions on the main base that we normally gravitate to are not comfortable. The cushions have springs and little to no filling, so I can feel the springs under me! Do you have a solution to this? The back cshions also need filling. The filling they have is probably fine, they just lose shape, so maybe they need more filling to firm them up. My sofa cushions needs re-stuffing. Kindly suggest an affordable options. Along with your location in Dallas. 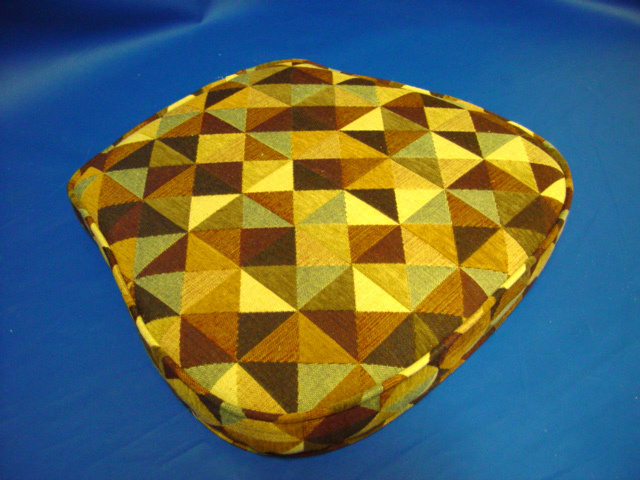 Please see our custom cut cushions page. There you may select a shape to quote out your needs. The next page after you enter in your sizes will show pricing and foam types and their suggested uses. I need to get my sofa back cushions refilled.They have never been very even in their filling. Can I just ship the cushion covers to you or would I need to include the old stuffing as well? Also,what is address I would ship them to? p.s. I’m not too particular about the details. Anything would be better than what I have now. In most cases, just sending the cover is sufficient. Please contact our sales for a price quote and more information on foam / filling types before sending the covers. Our address and contact information is on our contact us page. We have a total of 8 cushions that need new insides. The Rattan Shack (now out of business) made a mistake on our order years ago and made them all in green rather than the Florida style we liked. He asked us if we would pay him some money for the mistake he made and we did to cover his out of pocket cost. We now are using his (mistake coverings) but they need new foam, looking a bit dumpy as they are. The old ones are the same template and we saved them hoping we could find someone to fill them. I hope that could be you, and we could send you the old ones for that purpose. Please email me of call us at 305-558-6897. You can order through our website custom cut cushions. Or contact us to send in covers / templates that we can cut the foam for. I saw your commercial last night for the first time. I live in Springfield, Pa 19064. Is there Foam Factory near me to take my 6 couch cushions, or do I have to mail them to you. Approximately what would the cost be? Our only location is in southeast Michigan. You could mail the covers to us, then we could measure and quote you a price. Link to our address and phone number is on our contact us page. Be sure to include a note and your contact information when mailing your covers to us. For a quick price, you can quote custom cushions here. size 24x26x5. would like firm cushions. can you give me an estimate. You can quote custom cut cushions through our website here. can i send my back pillows to fill out.i need something hard in there i dont now what is you guys suggestion.i buy this couch from luxury of lather not even tow years a go buy my pillow is sagging already.what do you guys suggest.please let me know.if i can send the cover to you guys. Yes if you send us the covers, we can provide the proper filling for your seat backs and seat cushions. Please contact us for more information. How do you go about refilling couch cushions? Please see How To Measure Your Cushions. Then you can order your seats and / or cushions here. I purchased some foam for our patio and bed from you and they are perfect. Now our couch needs some help. With some many choices on your website I have to ask for your advice before ordering. The problem is that the long seat cushion doesn’t offer enough support and a heavier person can feel the sofa structure when they sit on it. I tried the 2″ Poly Foam (M) under it but it’s not enough. Then I treid the 3″ Lux R-Foam and that’s too thick and still not dense anough. What I need is a 79x29x2″ piece of something dense that i can just slip under the existing cushion for extra support. The next firmest foam type would be our SuperMAX foam with a 70 ILD. My loveseat cushion and coil spring are damaged and need to be replaced. Can I use high density foam alone, instead of coil spring? Will it hold good? Yes, foam by itself should be OK for your application. I have 7 large back cushions and 5 seat cushions and 1 large long cushion filled with feathers that I would like to have removed and refilled with a different material for a large sectional is this possible? Typically, back cushions are filled with super soft foam and dacron wrapped. Seat cushions, we suggest either our HD36 or Lux foams in either Regular or High Quality. You should be able to replace feathers with foam. What would be the price to do that? You can price out and order online custom cut cushions here. If I mailed one cushion cover to you, could you use it as a template for the 5 seat cushions that I want to replace? Yes, please contact us for additional information. I have couch and loveseat cushions that I would like to get refilled with a firmer foam . My coach and loveseat are still in good condition but I’d like to replace the foam . The couch seats have 3 cushions and the loveseat has two. Please contact us directly for replacement foam inserts. Thanks! I just ordered foam to replace the cushions in our sofa and loveseat. I used an electric carving knife to cut what I needed and wrapped them in yoir dacron. They feel amazing!!!! I am so happy! The company was so easy to work with, and quick with shipping. Thanks so much!